Call your order in: 520-432-4435. Welcome to Dylans Pizza Bistro! 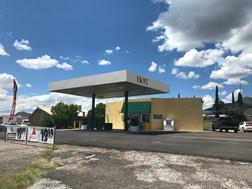 Dylans Pizza Bistro, Bisbee Beverage and Sky Island Fuel are home town favorites! Bisbev is family owned with fast and friendly service. We offer great lunch specials and the soups and salads are made daily with the freshest ingredients. We have the best pizza in Bisbee, just ask us ! Our complete menu can be viewed here. 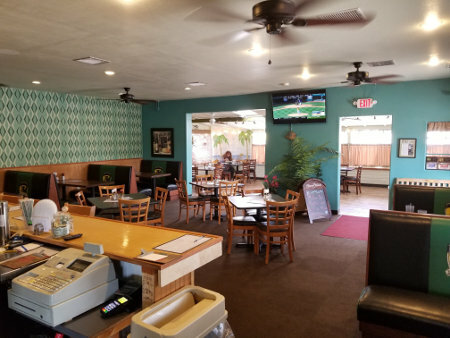 Our daily specials menu is always available here on our website. you can print out it out each week! Call ahead for our great food and pick it up at our drive-thru window. Our liquor, beer and wine selection is second to none in town. We also have some great gift packages. Go to our beverage page for details. Do you have a friend who is one of our regular customers? Then get them a one of our gift certificates. They make great presents! Job opportunities: We are accepting applications. Bring us yours! Deb Linden is the fourth generation of her family to run a family restaraunt. 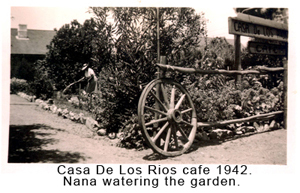 In 1941 her great grandmother opened Casa de Los Rios in her adobe home in San Juan Capistrano to help feed her children and grandchildren. Many of her recipes are used to this day in the Bisbev kitchen. Debs' Aunt Dorothy would sing to the customers and her Mom Joannie would put nickles in the Juke box! Today, everyone at Bisbev is proud to continue the tradition that was begun so long ago. The restaurant in Bisbee is just as fun and friendly as the first one. It offers seating for 30. Bisbev caters events large and small. Call us to help you plan!